Welcome to our website! Special Dispatch is a courier service based in Indianapolis, Indiana. We offer immediate service for courier deliveries and the next truck available for box truck and tractor-trailer service. 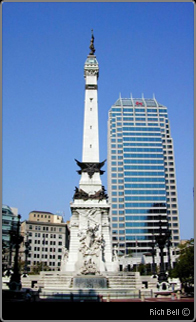 We operate throughout Indiana as well as anywhere in the U.S. Customer Service Representatives are ready to take your phone call – anytime day or night. We also offer web-based order entry and tracking. Visit our “Account Setup” page to learn how to access this feature. Please click on the “Services” page for an overview of everything we offer. In 1965 when we opened for business, just the idea of independent package delivery was something special. We've kept it that way. Today, Special Dispatch offers fast, reliable package delivery with a rate advantage, more experience than anyone else in the business, and courteous, uniformed drivers who are as professional at our business as you are at yours!